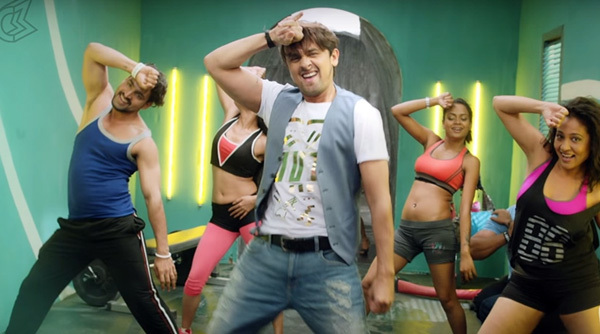 Renowned singer Sonu Nigam is back with a bang with his new and latest song 'Crazy Dil', this song is sure to rule at the music charts. The video of his latest track has a number of guest appearances. Celebrities from Farah Khan, Rajkumar Hirani, Kailash Kher, Sunil Grover and Natalie Di Luccio have come forward to raise the entertainment quotient but something more is in there that will take your heart away. The icing on the cake in this 'Crazy Dil' is by someone else! Towards the end of the video, you will see a cute glimpse of Sonu's son Nevaan Nigam, who will win your heart in just one appearance. This peppy song is sure to make your foot tapping and grooving to the floor.